An introduction to U.S. congressional information sources. This is the official website for U.S. federal legislative information. The site is maintained by the Library of Congress and provides access to accurate, timely, and complete legislative information. Coverage varies by type of information; please see list for details. 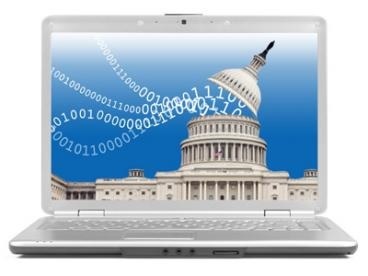 This source provides free online access to official authenticated federal government publications from Congress and other branches of the U.S. government. The site is maintained by the U.S. Government Publishing Office (GPO). This site contains the same content also accessible via FDsys and will replace FDsys in the future. Tutorials for how to use FDsys are available online. This source provides access to the full-text of many historical congressional hearings, reports, and documents from the earliest days of the nation. 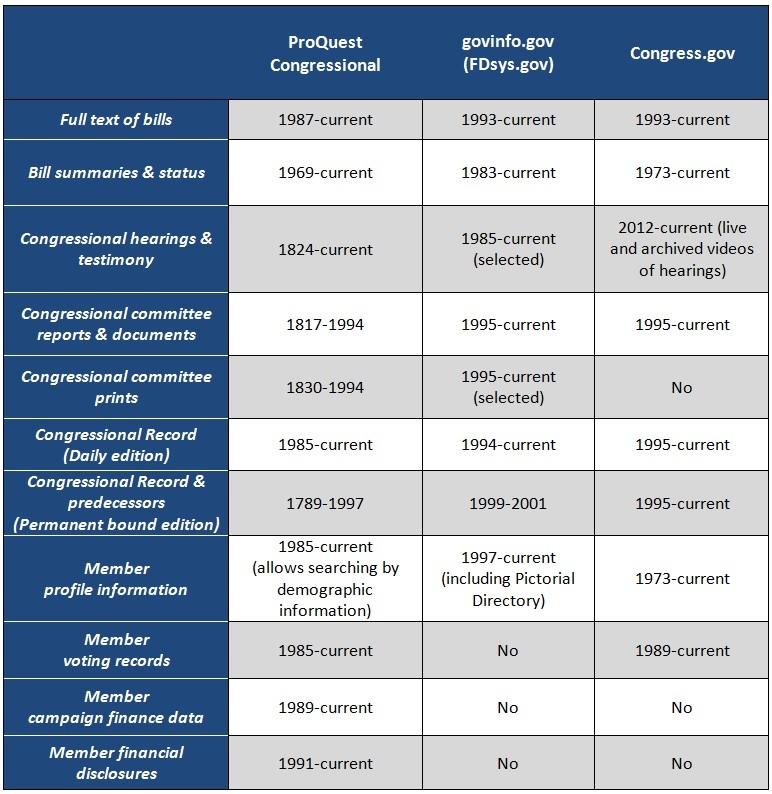 For help getting started, see Quick Start Guide for ProQuest Congressional Digital Research Collection. A detailed guide to this database is also available. Links to informative guides from the Clerk of the House, the Secretary of the Senate, and the Library of Congress. Research guide from the Law Librarians’ Society of Washington, DC (revised 2015). Video interviews of members of Congress and key congressional staffers describing the workings of Congress from an insider's perspective; produced by the Center on Congress at Indiana University. An interactive learning module on the federal legislative process, narrated by former U.S. Representative Lee Hamilton; produced by the Center on Congress at Indiana University.